Thomas Cole, born in England, came to America in 1818 and soon was depicting the beauty and majesty of the American landscape. 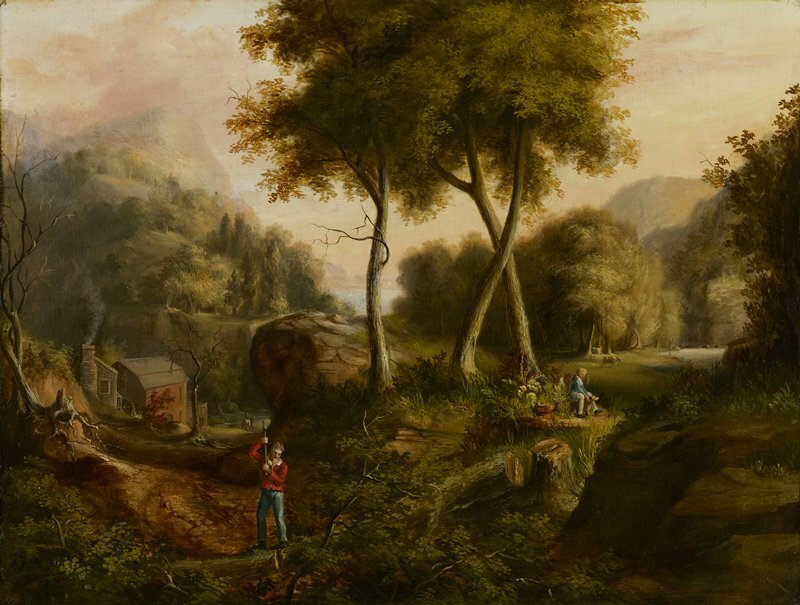 In this scene, he portrays a community of frontier people living in a valley, probably in upstate New York. Their attempt to tame the wilderness foreshadows similar pioneering activities in Minnesota a quarter century later.